Hard to believe it was a year ago that I started this blog. Though I have managed to make an entry here and there, when my schedule permitted, I feel that lately I have been particularly absent. Three months absent from the looks of the date of my last entry. 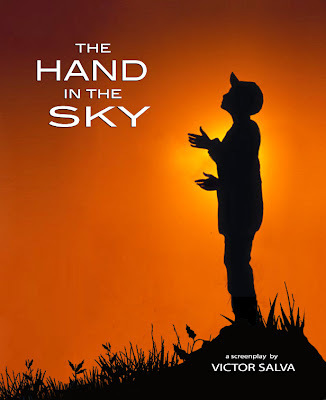 Even now, I am trying to get a new entry published during this 'calm before the storm' when preproduction on my new film starts up in earnest in the next couple of weeks. 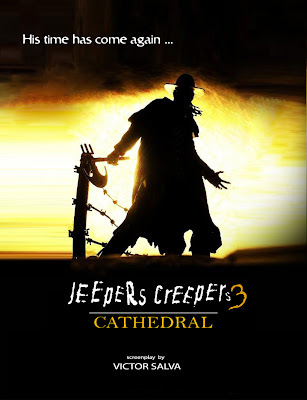 I would LOVE to report that the film is Jeepers Creepers III: Cathedral, and that it is at last in actual preproduction but I cannot. While it is still a possibility in the coming new year, I am tired of reporting to you just how close we came to getting this thing up and running, and then having plans fall through again and again. I used to think it was the financial crisis the movie industry is in (along with the rest of the businesses in this country and around the world) but I have come to believe now that the reason the third Jeepers film is now almost half a decade delinquent, is because of greed and incompetence. Exactly the same kind of thinking and "gimme, gimme, gimme" mentality, the same mentality that says "screw everyone else, I got mine!" that has the world in financial turmoil right now, continues to keep the last and final Jeepers flick from yet reaching the screen. It's not because of the Jeepers family, who have been ready now for three years with a great script that everyone likes and the promised participation of Ray Wise, Gina Philips, Justin Long, Patricia Belcher, Brandon Smith, and of course the Creeper himself, Jonathan Breck - all waiting in the wings to make Jeepers Threepers. And when I say the Jeepers family has been ready now for three years, I also mean my incredible team of artists, whose magic has been responsible for so much of what is good about the previous Creeper tales. This team of friends and collaborators includes composer Bennett Salvay, editor Ed Marx, director of photography Don Fauntleroy, production designer Steven Legler and make-up FX wizard Brian Penikas, just to name a few. After the terrible roller coaster ride of the last few years for JC3, the news I have for Creeper fans for 2010 is this: There is now a very strong chance that Jeepers Threepers will get before the cameras this year -- and with a very strong chance of it being in 3D. With New Years day just a week away, I wanted to look back on 2009 and acknowledge the good with the bad. Though the year was one of the worst financially in the short history of my adventure down here in Los Angeles, there were some good things that happened along with the struggle and turmoil that I am sure we all had to endure this year. 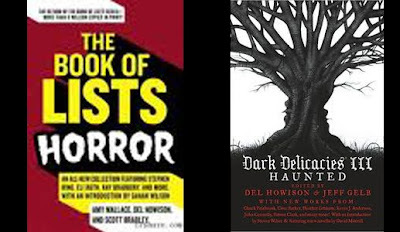 2009 was the year I became a published author, first in The HORROR BOOK of LISTS, and then with my short story THE WANDERING UNHOLY published in the third edition of the Dark Delicacies books, this one subtitled "Haunted". I am not sure of the exact chronology, I think it was also the year I sold my first script to television: A NIGHTMARE IN LACE. My teleplay, originally written as an episode of my proposed DARK DELICACIES TV series, was sold to NBC as an episode of the weak and mishandled FEAR ITSELF anthology series. It resulted in the weakest and most inept screen version of anything I have ever written, and I am forced to look at it from two perspectives: One, this is what happens where there are too many cooks in the soup. And in the case of FEAR ITSELF, the problem is magnified when the cooks know so little about storytelling and even less about what makes horror really work. The other perspective is financial. And from that aspect, all I can say is thanks. Thanks for the paycheck. It makes me want to do the DARK DELICACIES TV series even more. I am convinced that horror fans have settled for mediocre and downright awful stuff, long enough. Time to give them something that reminds them of what we loved about horror and suspense and why we used to be so excited about it. 2009 was also the year I got to make contact with so many of you, through this blog. Thank you for taking the time to contact me, write me, ask questions, and just connect. 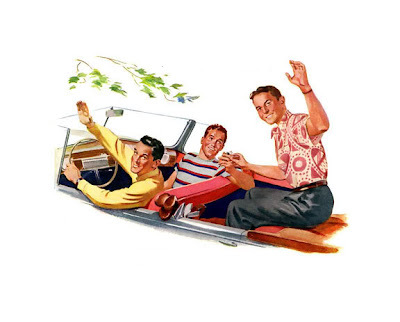 It has been terrific getting to know some of you. John Carpenter said that his fans are very scary people. He said that when he meets his fans it's like, "be afraid, be very afraid". The public can be a very cruel and very scary place. There are a lot of people who forget that human beings are on the other end of their emails, critiques and remarks. It is easy to go toxic and corrosive when banging away on those keys. And slamming a movie, an actor, a filmmaker, a singer or whatever, might feel good at the moment -- as long as you stay unconscious to the fact, that anything you are commenting on -- has a flesh and blood human being behind it, just like you. A human being who created what you are commenting on, and is just as human, just as flawed and probably just as insecure as you might be. The difference is, they have put their ideas out into the world. That is always a brave thing to do for anyone -- and why I think artists of all kinds, are some of the bravest people in the world. I have to remember this often, when I'm having a bad day and really want to vent. Some of the comments you read on IMBD and other sources - are so toxic, corrosive and damning, you have to wonder what the authors of these comments are doing with their own lives, to make them so miserable and hateful. In my own experience with this kind of toxic exposure to some people, their anger and disgust almost always traces right back to their ignorance on the subject (or the person) or how they are really feeling about themselves. I have to say, as opposed to John Carpenter and his fans, I have had the opposite experience getting in touch with so many people who are either Jeepers fans or just appreciative of my work in general. I know I have a different body of work than John Carpenter, and that might skew my fanbase (I cringe a little, for my presuming I have a fanbase, but I do, as evidence continues to indicate) and I am thankful for all the communications from all of you. Nobody gets into this business to stay anonymous, a famous saying goes. And anybody who says they aren't in this biz to draw attention to themselves and their talent, is bullshitting you or at least themselves. My point is, that no matter who people are in this biz, or how big or how small, contact and resonance from fans and aficionados, is important. I am a big fan myself, of movies and music and art, and so much -- so I see it from both sides of the equation. Letters, emails, you name it, they may not seem important in the grand scheme of things, to the people we hold in high esteem, but you might be surprised how encouraging, uplifting and remarkable many of us find, getting a note from someone who simply took the time to say: I like what you do. Thanks. So, to all the great people I've had the chance to email and talk to this year, through this blog, a big thank you. It means more than you might think. The email address to contact me is supplied somewhere on this blog site, I think in my profile. And thanks to everyone who is so patient, as my responses some times take a while, depending on what's going on with the rest of my life. 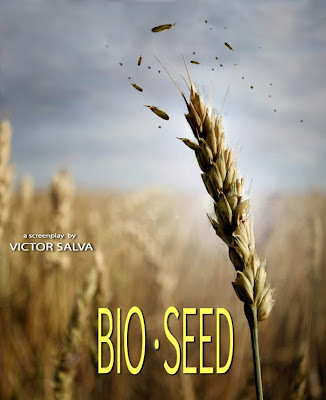 I know I said that early in January I will be starting preproduction on my latest film. But what film will I be starting early in the new year, if sadly, it cannot be JC3? 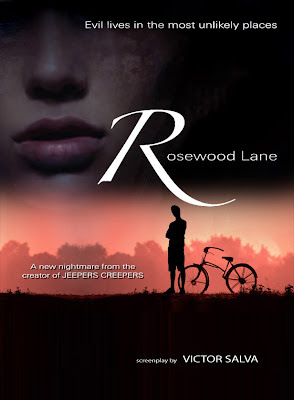 I'm happy to say that most of the Jeepers family mentioned above will be joining me right out of the gate this year for a thriller-chiller I will be writing and directing starring Gina Philips, Lesley-Anne Down and Ray Wise, called ROSEWOOD LANE. Easily my favorite of all the suburban thrillers (I really like to call them "shockers") I have scripted, I have wanted to make Rosewood Lane since I wrote the very first draft, long before JEEPERS CREEPERS. The story concerns radio talk show therapist Sonny Blake, (Philips) who moves back to her childhood home when her alcoholic father dies. But upon arrival, she discovers the neighborhood is terrified of the local paperboy. Sonny thinks this is ridiculous, until she encounters the boy himself, and learns the hard way, that he is a cunning and dangerous sociopath, who may have killed her father and even others. When he starts to exhibit abnormal abilities, Sonny starts to doubt her own sanity and the boy begins waging a war of terror on her. 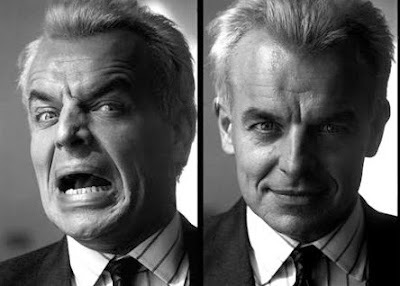 Ray Wise plays a Detective who goes toe to toe with Gina Philips - doubting her story about the boy -- until he realizes, and possibly too late, that she might be right, and there may be a cunning and diabolically clever serial killer stalking her -- a serial killer who has yet to get his driver's license. ROSEWOOD LANE is a jump-out-of-your-seat thriller in the tradition of my favorite terror in suburbia film: John Carpenter's HALLOWEEN. 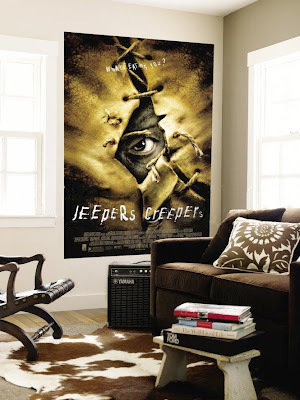 And as I said, the entire Jeepers Creepers family is coming on board for this: Director of Photography Don Fauntleroy, editor Ed Marx, production designer Steven Legler, make-up effects wizard Brian Penikas and composer Bennett Salvay. The film will be produced by me and Don Fauntleroy. I have to say it is the most excited I've been about telling a story in years. And if the industry's tailspin has had some negative repercussions, it's had some positive ones as well, because making smaller budget films is suddenly all the rage again. And scripts that studios loved but said were too small for them to make, are suddenly the only thing they feel secure in making. This in many ways has given new life to projects I thought I had outgrown, or that my agency said were too small for me to make, now that I was the Jeepers guy. This movie is a milestone for many reasons, but maybe the most exciting is that it is the first movie I am producing as well as writing and directing. And I am producing it with my good friend, director and great cinematographer, Don Fauntleroy. This means more creative control and ownership of the finished film. Something I have never gotten on any of my seven previous feature films, including the JEEPERS films, POWDER and others. So it is a new chapter in my career, as well as returning to my favorite movie turf: the suspense thriller with supernatural overtones. 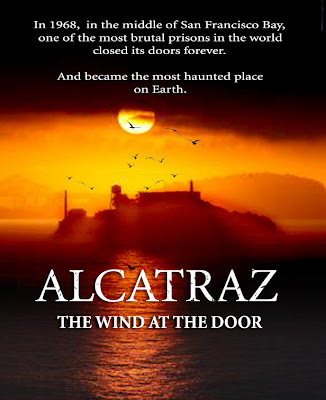 With the coming of 2010, there also comes new life for several of my scripts, including ALCATRAZ: The Wind at the Door. 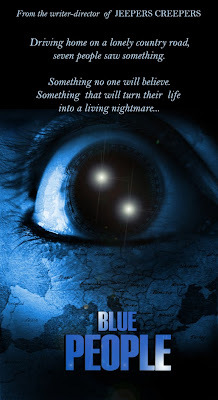 2010 also takes the big screen version of DARK DELICACIES The Movie, a step closer to production. More on why that is true in another blog when I have more concrete details. 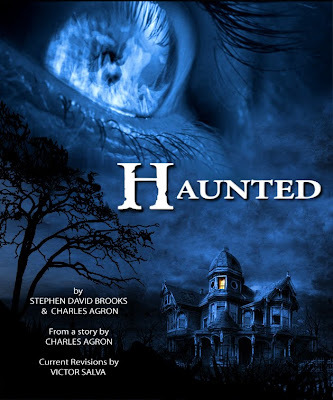 But this is the brainchild -- call it love child even --of me and my partner Del Howison, who have every intention of not only getting this horror anthology to the big screen but ultimately creating a TV series also based on the award-winning horror anthologies and Del's world-renown horror store in Burbank California of the same name. 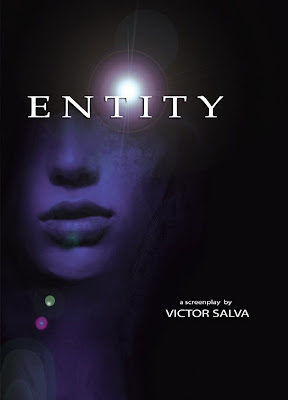 I have spent most of 2009 writing and rewriting scripts - basically what a writer/director does between filmmaking gigs. And the time between my gigs got perilously long when the bottom fell out of the financial structure of the world and the movie biz. I have been a busy beaver these last couple of years, and the script covers I've fiddled with on Photoshop for each one, moves me closer and closer to another element of filmmaking that I love: the marketing and poster art for the stories I create. 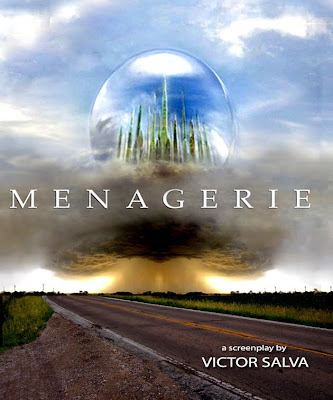 I always wanted to do a thriller with aliens (especially after my own strange experience on Interstate 5, between Northern and Southern California --see one of my previous blogs about that). BLUE PEOPLE is about a group of kids on the long drive home from a rock concert, who pull over for a friend's upchucking -- and end up seeing something that gives them a nightmare night they will never forget. BLUE PEOPLE has elements of my favorite UFO thrillers: FIRE IN THE SKY (maybe the best of its genre) and of course INVASION OF THE BODY SNATCHERS (all versions) and even a little bit of INVADERS from MARS, along with my favorite TV series on the subject THE INVADERS. Well, just looking at all these posters - and remembering there is a script behind each one, makes me think you really can't accuse me of not working this last year. 2009 has probably been my most prolific years as a screenwriter. Now I am hoping the coming year is my most prolific year as a filmmaker. Getting to take as many of these stories in front of the camera, as I can. Well, I think that's all I have time for right now. Maybe I'll surprise everyone and make this blog a short one. If I can do blogs about the progress and process of ROSEWOOD LANE, I will, but again, things get pretty 24/7 once the train leaves the station and a film starts to get made, but who knows? What's ahead? Who knows that either? Will the Creeper fly again - and in 3D (thank you James Cameron -- I think) Will ALCATRAZ get a shot at the big screen? 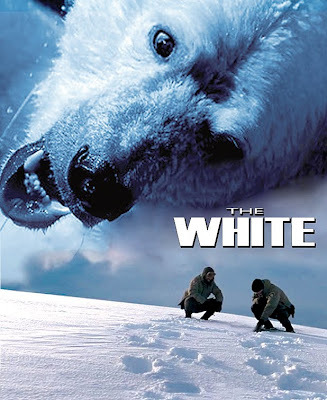 Will Polar Bears go on the rampage and will DARK DELICACIES finally get the big screen treatment it deserves? Will ROSEWOOD LANE turn out to be what I am hoping it will be? Namely a jump out of your seat thriller in the tradition of Carpenter's Halloween? Because we haven't had a truly great, popcorn-bucket-goes-flying-out-of-your-hands, "oh my God, I can't watch"… what's-in-the-shadows? style shocker in way, way too long. I hope the coming year is good for both you and me, and hell, everybody everywhere, cuz we could all use some love and some luck about now.